More than just stunning beaches and amazing jungles, there are all sorts of holidays, festivals and events in Costa Rica all year round. Some of these Costa Rica Festivals are advertised outside of the country to international travelers. Envision Festival and Jungle Jam are two examples. The more culturally rich and traditional events are often overlooked by visitors simply because they are unaware of them. Here are some of the top festivals and events that you can check out on your stay in Costa Rica! 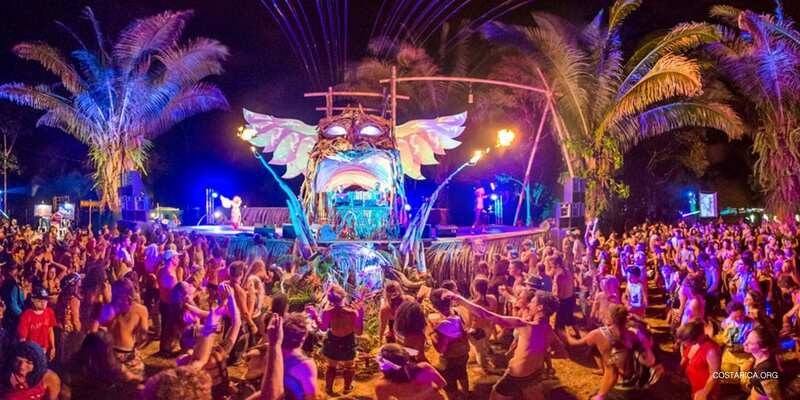 When it comes to destination festivals Costa Rica literally could not be any better! Featuring live concerts, yoga, and lots of beach time, music festivals in the nation cover a wide variety of genres and cultures. Costa Rica music festivals attract people from all over the world to celebrate Costa Rican culture in all of its expressions, truly a paradise for art lovers! Here are the top 5 Costa Rica Music Festivals and Events you can attend! Make sure not to miss any upcoming National Concert! There is a lot of musical talent emerging out of Costa Rica these days. All music genres and Costa Rican cultures are incorperated in the local music scene. Costa Rica’s National Philharmonic Orchestra concerts are something to behold! The talented hands and voices of the Philharmonic Orchestra, winners of a Latin Grammy, often play music from artists like David Bowie, Rolling Stones, The Beatles and many more. Besides that, if you are looking for some of Costa Rica’s more modern bands, then San Jose is your best bet for great live performances. However, sometimes there are smaller, local bands at bars and music venues in the coastal towns, like Tamarindo, Santa Teresa, or Jaco. Costa Rica is no stranger to parties! During the holiday season, celebrations include everything such as fireworks, carnivals rides, even bullfighting! Festivals and cultural events reflect the nations various cultures of the Costa Rican population. There’s always something to do from cowboy parades in Palmares to the carnival rides and bullfighting in Zapote. 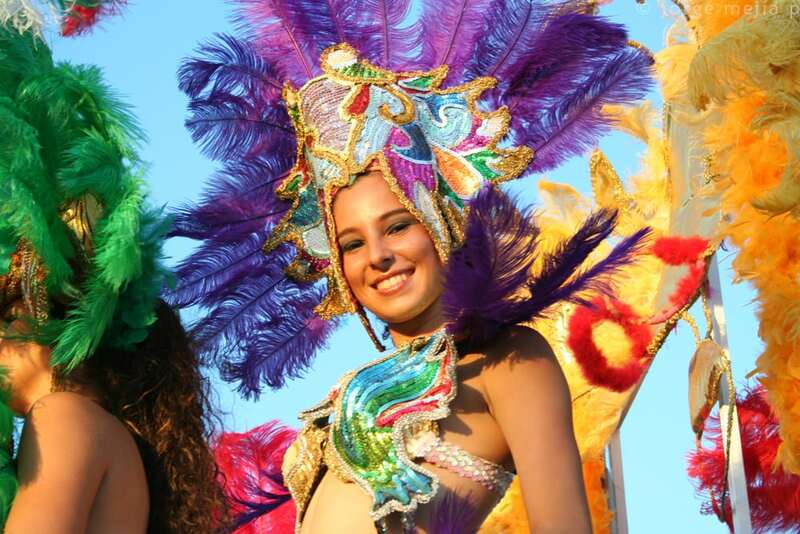 There’s also a Caribbean style carnival in Limon. No matter what time of the year you decide to visit Costa Rica there will always some kind festival to attend! Let’s plan your Trip together! Let us help you organize your trip to Costa Rica for a once in a lifetime experience! We’re local experts that can help take the stress out of planning a trip abroad – so that you can get the most out of your time here in Costa Rica! Make the most out of your time here with our custom Costa Rica Vacation Packages. Come the Envision Festival on the coast of Uvita and experience an incredible, environmentally-friendly music festival on the beach! Listen to music with travelers from all over the world, do yoga on the beach with world-class instructors and discover the the magic of the rainforest all in one place! Known as the biggest party in Costa Rica, the Palmares Festival is a fiesta you will never forget! Come for bullfighting, fairs, horse parades, traditional food, great beer and even better company!